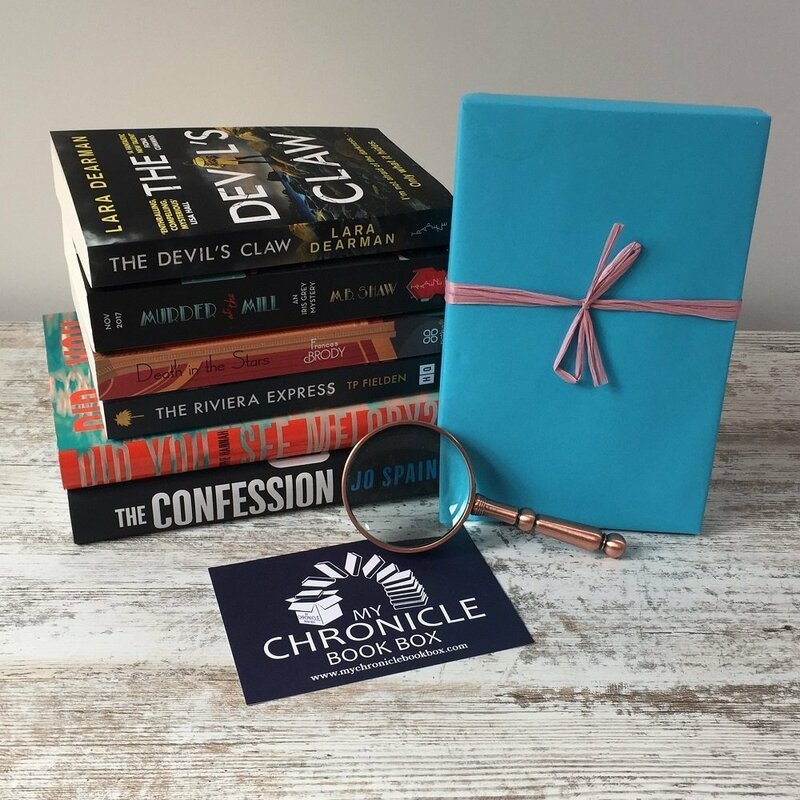 I loved my first My Chronicle Book Box! 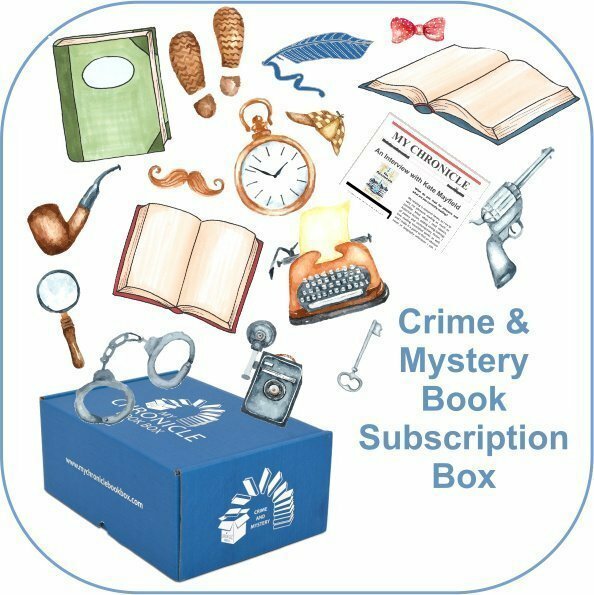 I chose the crime and mystery option as I wanted inspiration for new books in this genre and I am delighted with the contents. The books included both look interesting and are very different, and the accompanying bookish goodies were excellent. The presentation and attention to detail was fantastic too and everything was wrapped or packaged nicely. Would definitely recommend! Interesting contents, books I’ve not yet read plus some lovely goodies. I’m very pleased! Just received my first box and am actually thrilled. Not a word I usually use but opening the box made me feel all excited like a child again. The books are great and have started the first one allready. Beautifully packaged and love the extra pieces too. Getting the authors signatures is a special treat too. It’s going to be a long wait for the next box. Absolutely fantastic, love everything about My Chronicle Book Box and can’t wait to get another. Great selection of books and wonderful quirky gifts. I think it’s the best box I’ve ever received. Each book is packed so beautifully! Box is focused on books, not items that I won’t ever use. 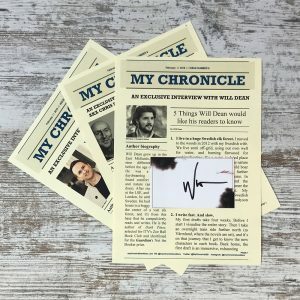 I enjoyed interviews with the authors and if you could have a real seal instead of a plastic sticker, then it’d be so cool! 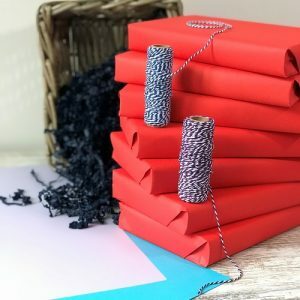 If I may suggest something – please replace packing tape with paper one (or you can buy 100% recycled plastic one) and try to avoid plastic on gadgets. 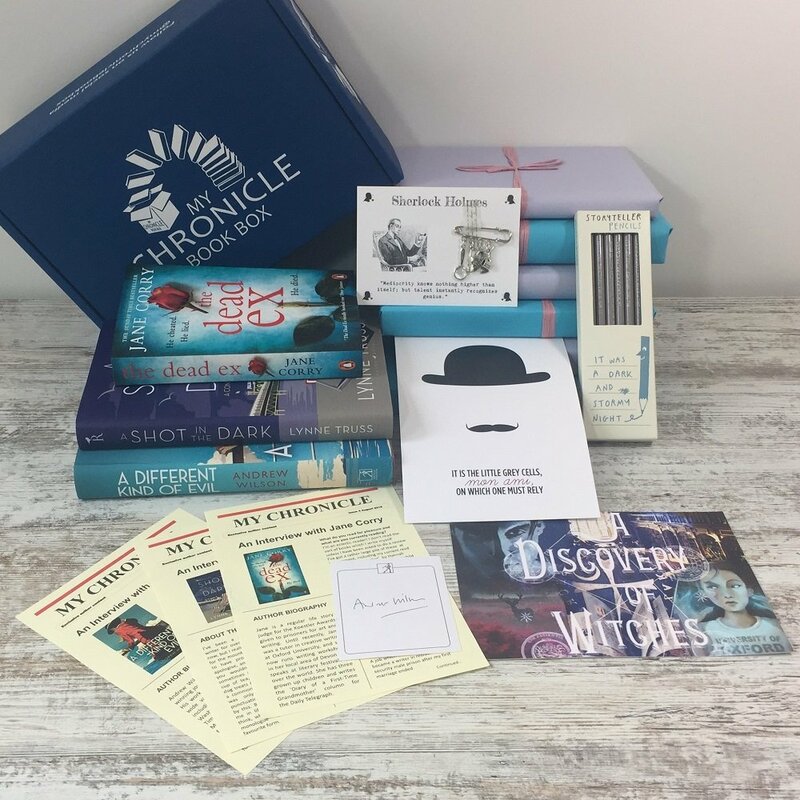 I am totally and utterly delighted with my book box, the attention to detail was incredible as regards content and presentation. It went beyond my expectations, words cannot express my reaction upon opening my first box. Thank you to everyone involved. Highly recommended ! I loved it! So excited when the box turned up. It was beautifully wrapped and the choice of books was perfect. 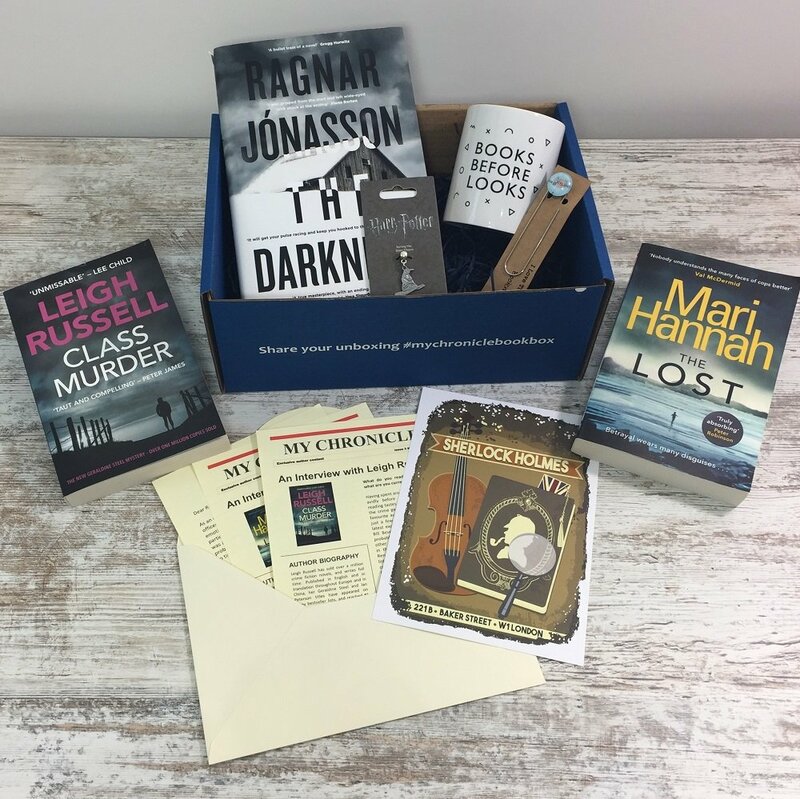 An excellent box, good value for money with three books including two hardbacks, plus extra goodies, signed bookplates and more – speedy delivery and beautifully wrapped and presented too! Absolutely loved it. Very pleased with the books and the goodies especially the bookmarks. Cant wait for the next one! I love getting my box. 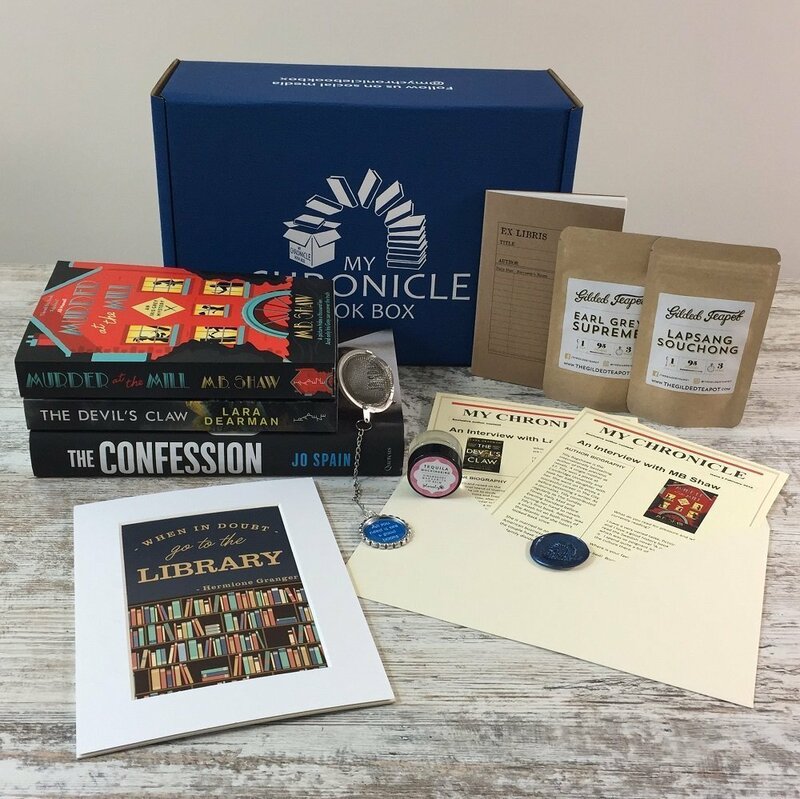 Packed full of literary goodies. All my Christmases have come at once. The box was so exciting to open and it really was special! I was amazed when my box arrived. It was packaged beautifully, with each book individually wrapped. The little extra gift were gorgeous and I can’t wait to use them all. The letter, the information cards and even the invoice slip were all on lovely paper and the whole experience of opening it felt almost luxurious. I’ve started one of the books already and although I’m only about 50 pages in, I’m loving it. I honestly cannot praise this subscription enough and I’m already excited for the next delivery!!!! This is the 3rd box I have received now and I have not been disappointed! I love that each box is a surprise as to what it contains and the books have been really good! I am so excited to get my box every 3 months 🙂 It makes me day when they arrive. Fabulous box of book goodies, beautifully presented and well packaged. Love the surprises and great choices of books. Bought as present – recipient very happy with good quality, unusual and interesting books. Lovely wrapping and delivery too! Great choice of books and goodies. Fantastic box – items are stunningly wrapped and presented very well making it a lovely surprise to go through. Love it.